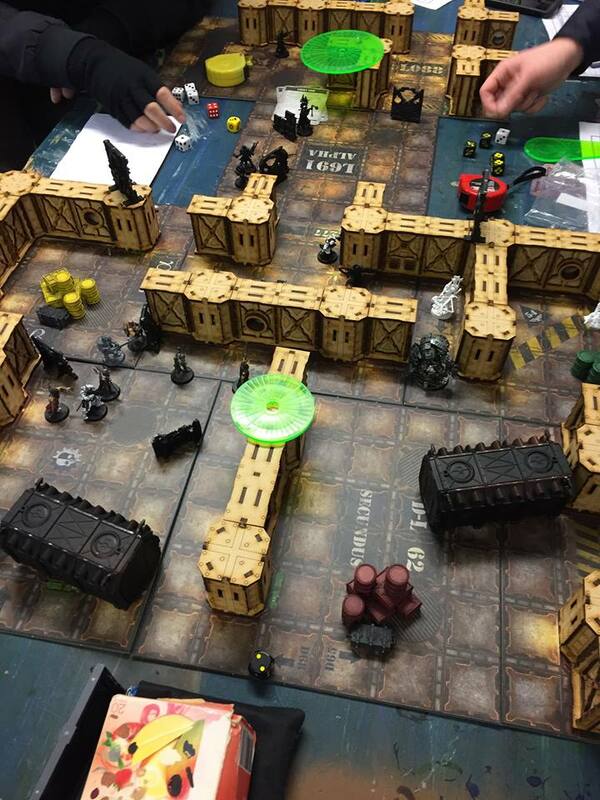 So, many Gangs have shown themselves in the Underhive. In the first two cycles of the Turf War much action and death has happened in Sector 43. Many reports of Gangs clashing down here. 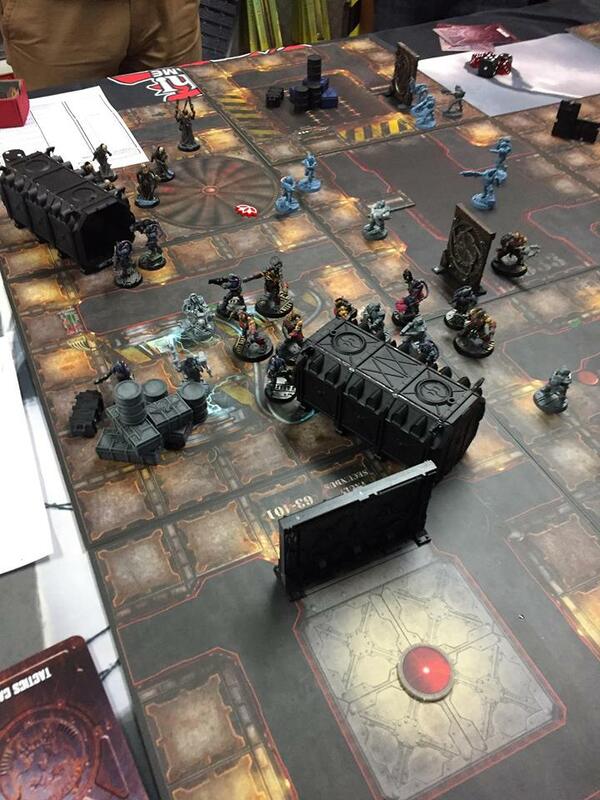 A Delaque gang and Cawdor gang faced off in a little skirmish. 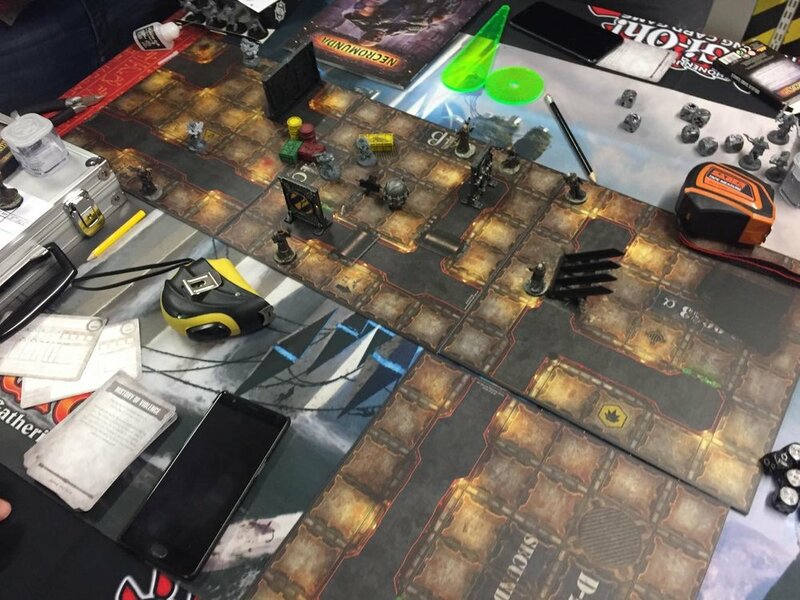 We have heard that one of the Delaque Champions has been gunned down and left for dead (Doctors are Expensive) -the Delaque gang claimed victory. 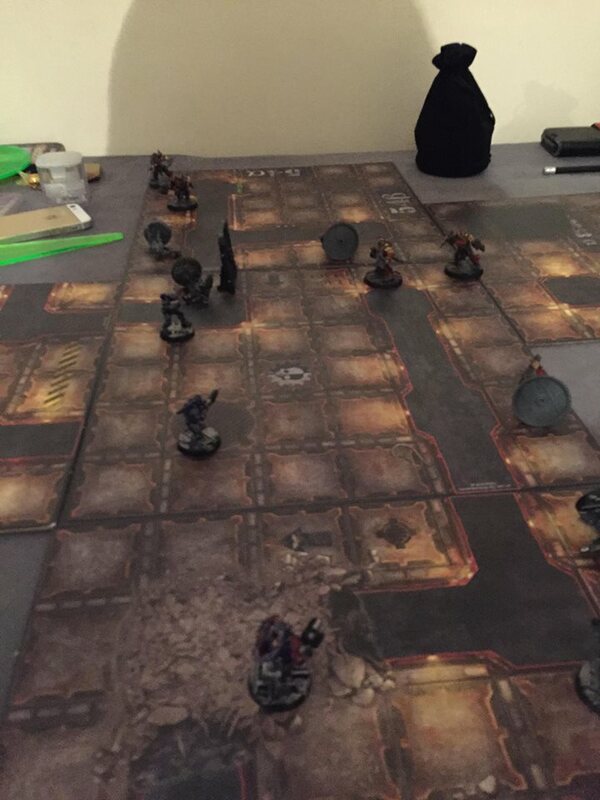 Meanwhile two Van Saar gangs faced off over some dispute of ownership of some Object. One gang attacked the other in hope of destroying the Object and were successful in their goal. These gangs are still nameless at the time. Will report when names have been Acquired. Things got quite for a week, work must be done. But these gangs are restless. Another separate Cawdor gang appeared and encountered a Goliath gang. The Goliath gang was burn't alive. Reports indicate that the entire Goliath gang was on fire: four have gone into recovery for burn injuries; one death; and even one Goliath gang member was captured by the Cawdor gang and is being held hostage. There was word that word that one Cawdor member died, but has been replaced very quickly. Neadless to say, the Cawdor gang won. 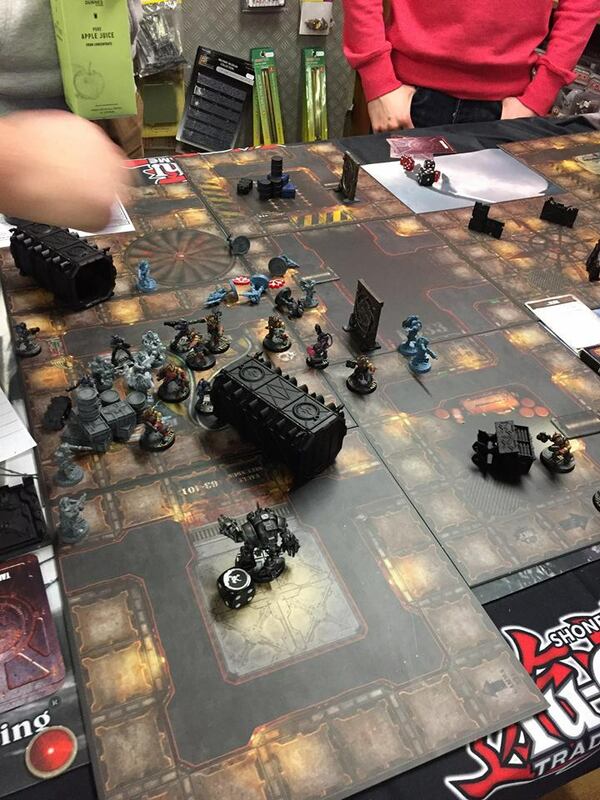 Meanwhile, Another Goliath gang encountered an Orlock gang. 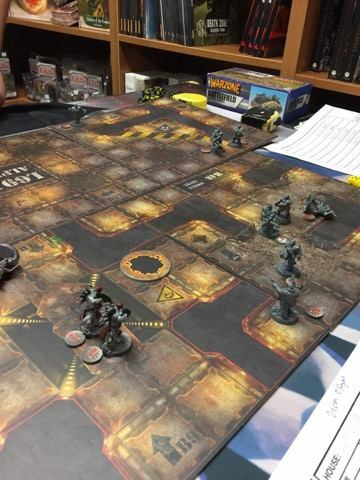 I think the Goliath's in the Underhive must have drunk bad (well, worse then usual) water or have the worst luck of the week, because yet again this Goliath gang was ripped to pieces as well. The smart move here was the Goliath gang pulling out of the conflict with whatever survivor's they had left. Not sure if we'll see that gang again, but the Orlock gang left quite the mark down here. That is all that has been reported. Thank the Emperor that it is the "week" and they stop fighting. I'll end the report here. Another week, more action down here. Sorry gang names are still elusive to me. Will guarantee to have them in the next report. 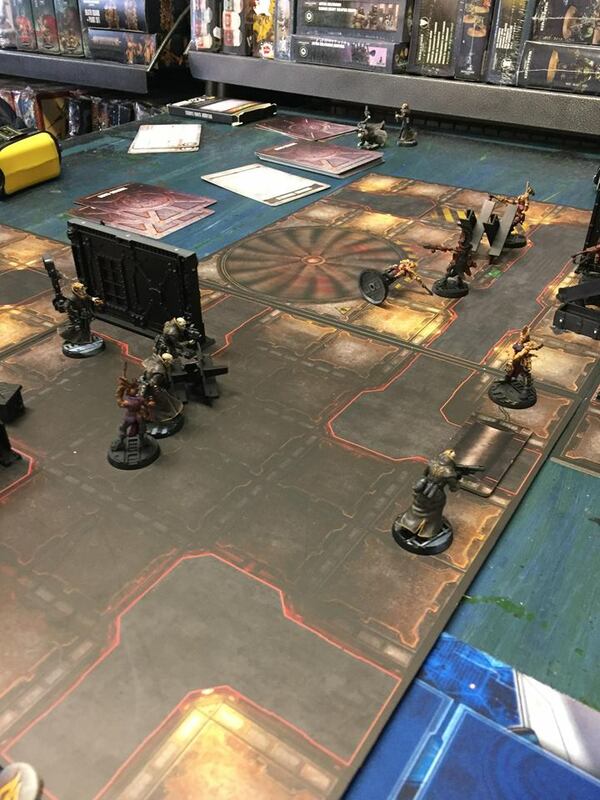 The Orlock gang from last week that lost to a Delaque gang, but left a mark, decided to take on this Orlock gang that ripped a Goliath gang apart last week. Thinking the had the upper hand and attacked the Orlock gang...but looked like luck favoured the Orlocks here. 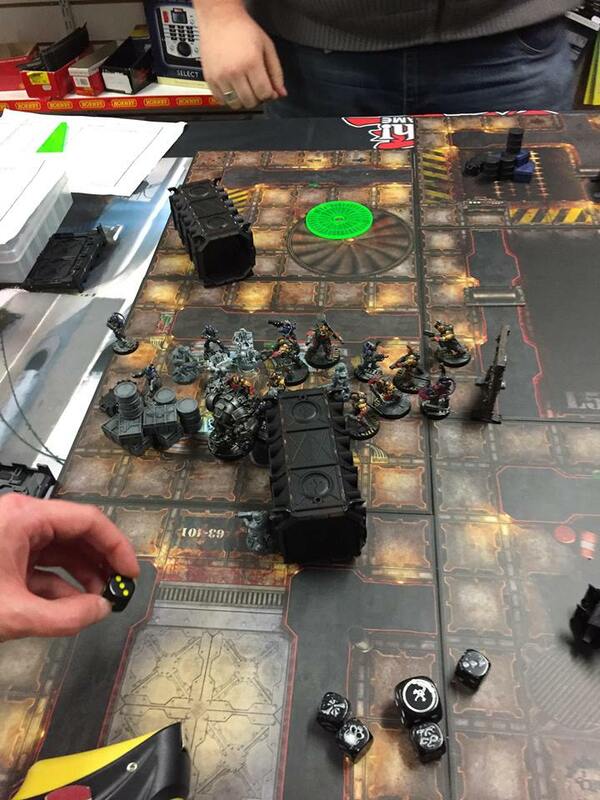 Saw it with my own eyes, never seen a Orlock leader get assaulted by 3 different juves/gangers and live, unscratched, but to also knock down each of his assailants! Both gangs were left, jaw a-gape. The Cawdor gang bottled out and victory was claimed by the Orlocks. 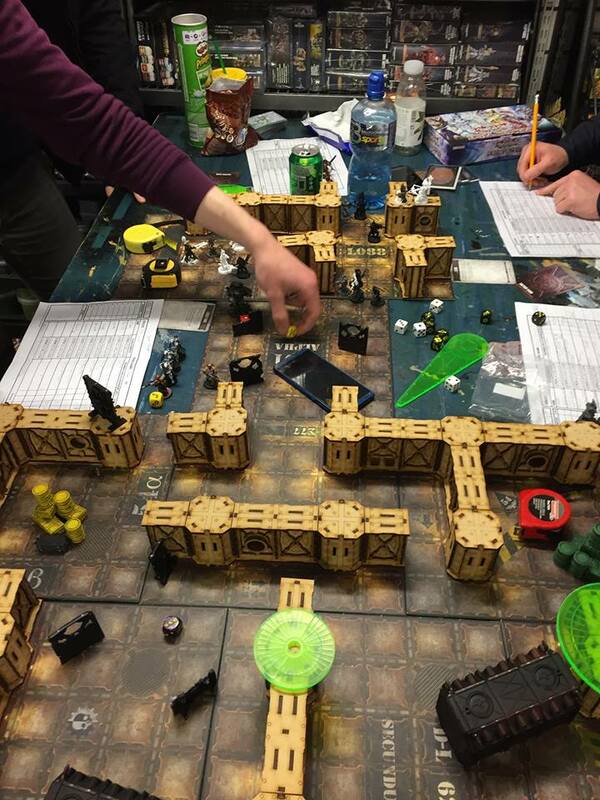 The other Cawdor gang from last week took on a new Escher gang. The Cawdor appeared to have the upper hand in the conflict, but through some luck the Escher gang was able to mount a comeback. The conflict ended with no winner, but the Escher did capture one of the Cawdor gang members. 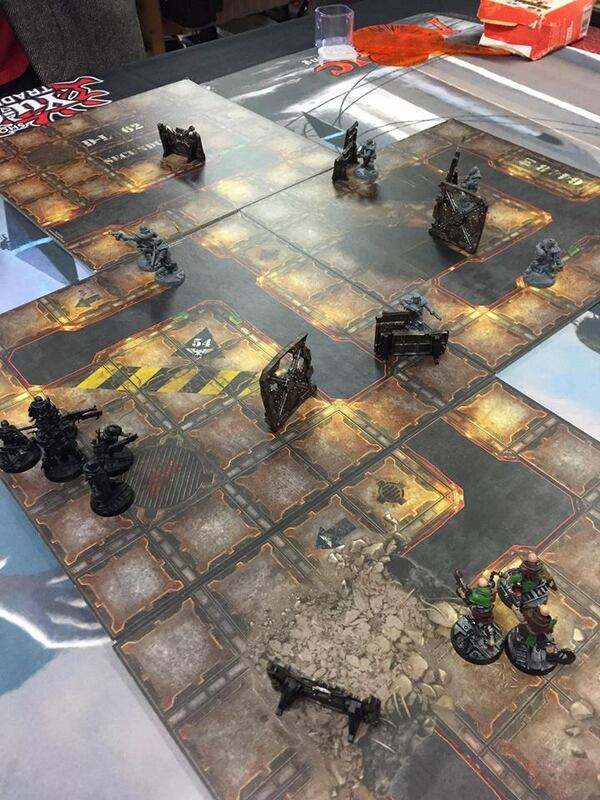 Finally there was a new Van Saar and Orlock gangs that faced-off against each other this cycle. from what I can make of it, it looked like a massacre in favour of the Van Saar. This Orlock gang suffered several members going into recovery and one Causality. 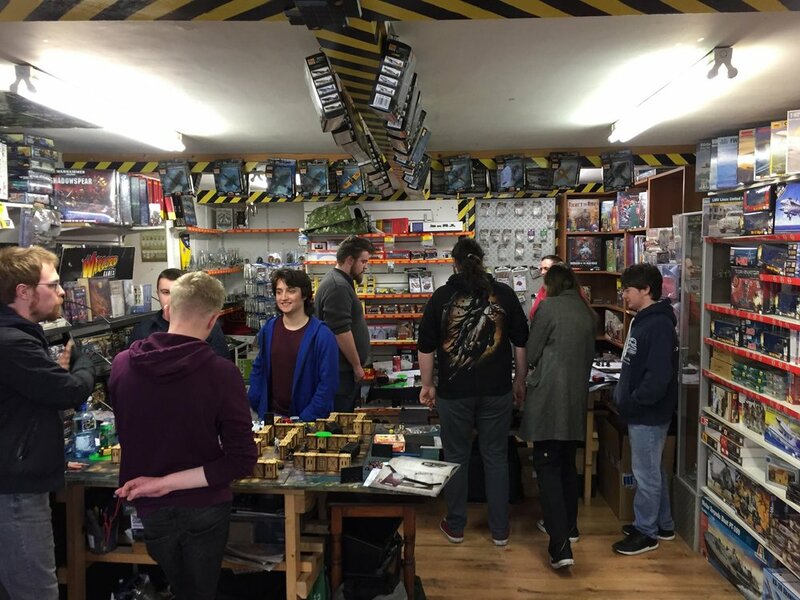 And with that the Underhive grows quiet, somewhat, for the working week. 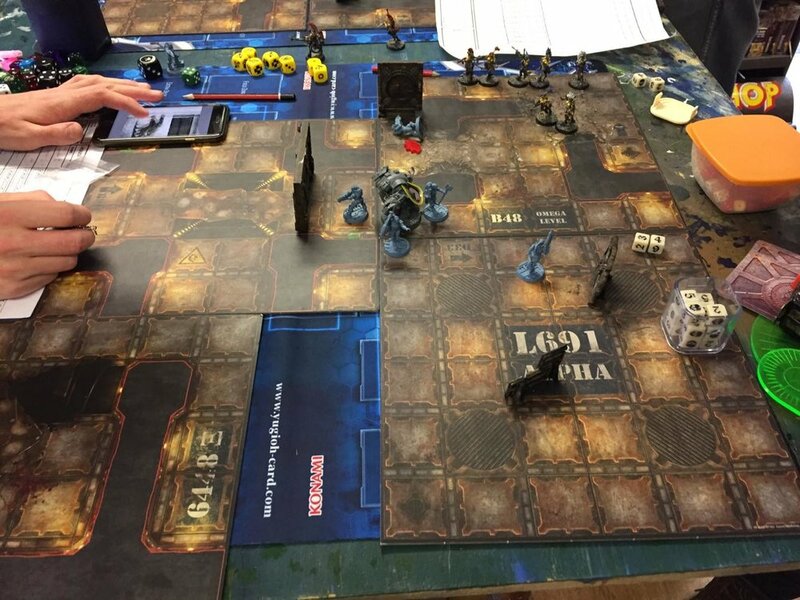 Obsidian Klaw took on Ronnie's Right Hammer, the Orlock suffered quite the hit in this game with the death of their very own Leader, gunned downed (surprise) by the Van Saar leader. 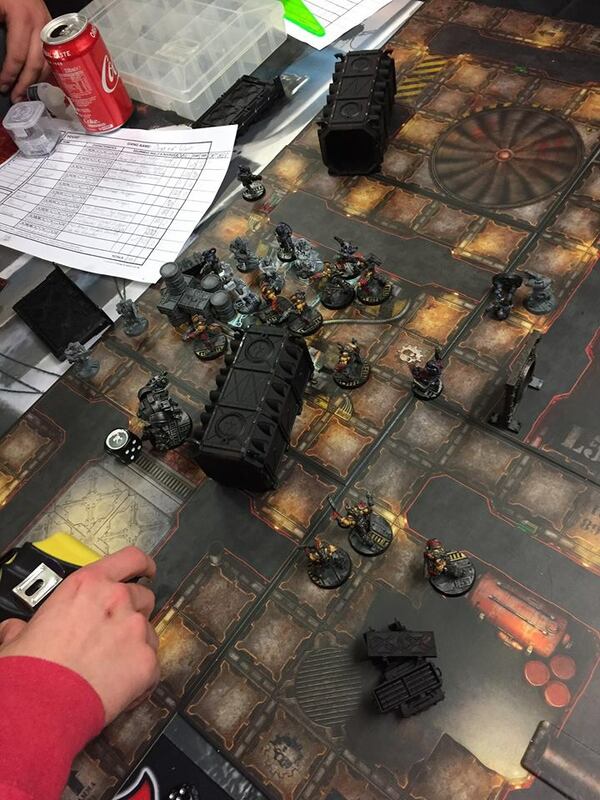 Looks like the Van Saar weren't happy with just that and stole some of there turf after the game as well. Van Saar win. Obsidian Klaw then went onto take on the Arcadians. 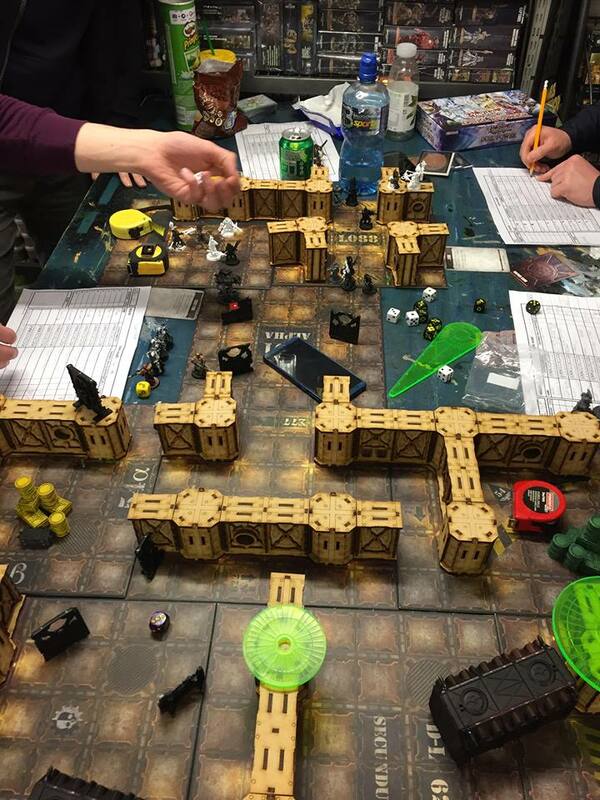 Van Saar again ripping apart the opposing Cawdor gang and took out one of the Champions in combat...(what ???) with their Leader. However, it looks like the Cawdor Champ learned from this experience and is still alive. Van Saar win. Dogs of War Went up against Set Phasers to Fun. Not much to report here, No deaths or anything. Orlock Win. 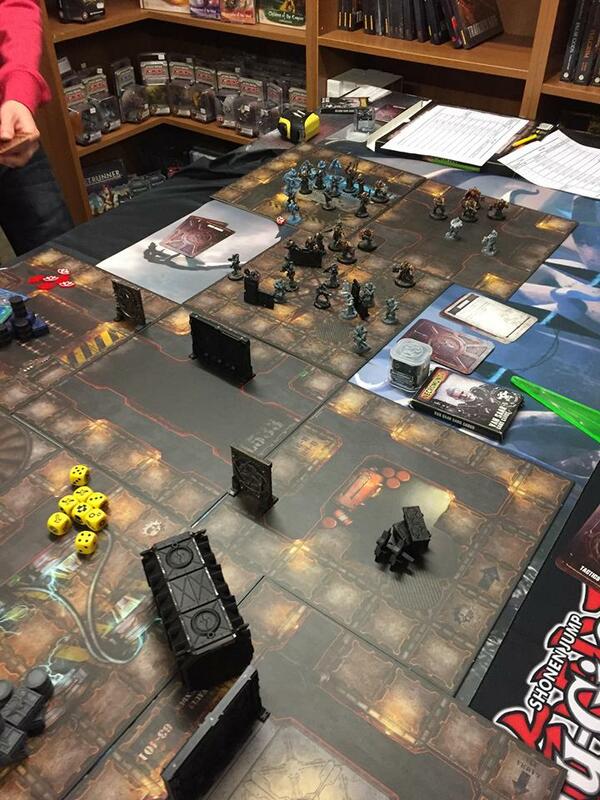 Dogs of War also took on the Dragon Innkeepers and, again... just not much to report. Nothing of the ordinary. Orlock Win again. Another week down and the Turf War is still going strong. No gang has backed out yet, though some gangs have suffered greatly and might retreat to lick there wounds. Still I've seen some other gangs wandering around, waiting to strike at the right time. We'll have to wait and see who else will join the fray. We're in the thick of it now. Don't know what happened during the past week, if there was some feud over work or if something slipped into the water (again), but most of the Gangs were out in force during this cycle. You'll also notice that we have two new Gangs registered. One is new, one was from a few weeks ago and both are Escher. So we started off with Dogs of War taking on The Scars, the new gang. 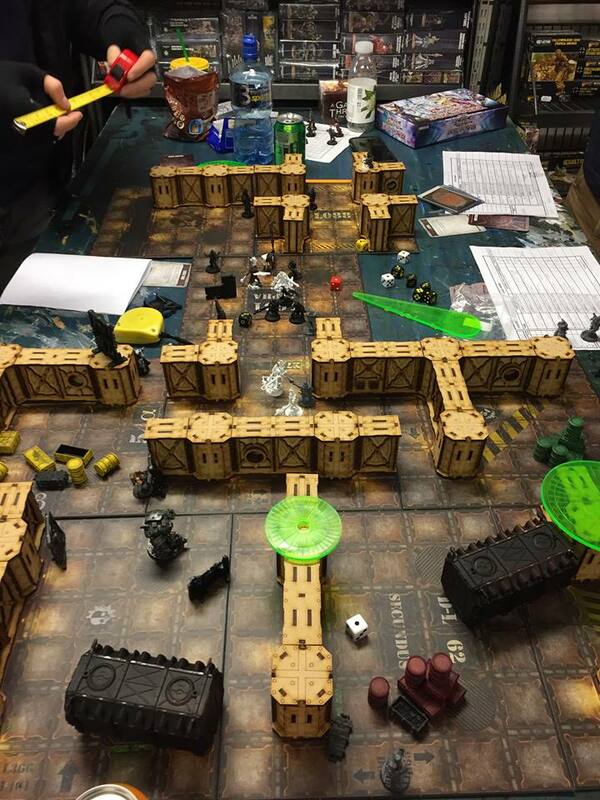 Once again the Orlock Gang show not much flare in the Underhive, but get the job done. But on the other hand, Obsidian Klaw have been leaving blood shed in there wake. Obsidian Klaw took on Marketing Department and the Goliaths of the Marketing Department felt a heavy blow from this encounter. Three Dead Goliath! including one of the Champions! and then to make matters worse, the Van Saar captured a member as well. 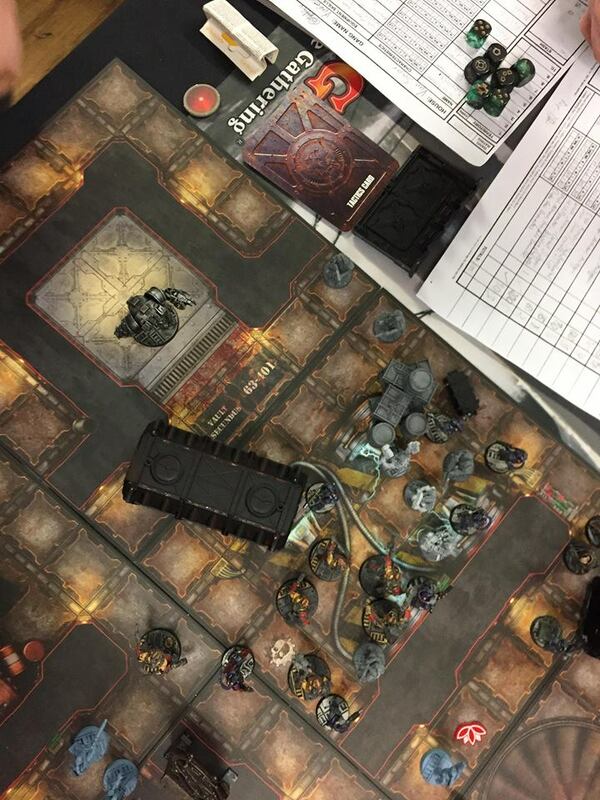 Needless o say, the Van Saar won this fight and left the Goliath Gang for dead. Oh, looks like our first drop out came this cycle. The Arcadians bowed out and disbanded. Then in there place a New Cawdor gang by the name of...Arcadians II...will look into this to see if i'm being messed with. But either way Arcadians II went up against Piratical Punks and what looked like a one-sided fight in favour of the new reforged Cawdor Gang was short lived after the Escher gang had enough and started the grand counter attack. Such an amazing feet to be on the cusp of losing and to turn it around for quite a bloody victory. Escher Win this Skirmish. Dragon Innkeepers went up against Ronnie's Right Handmen. 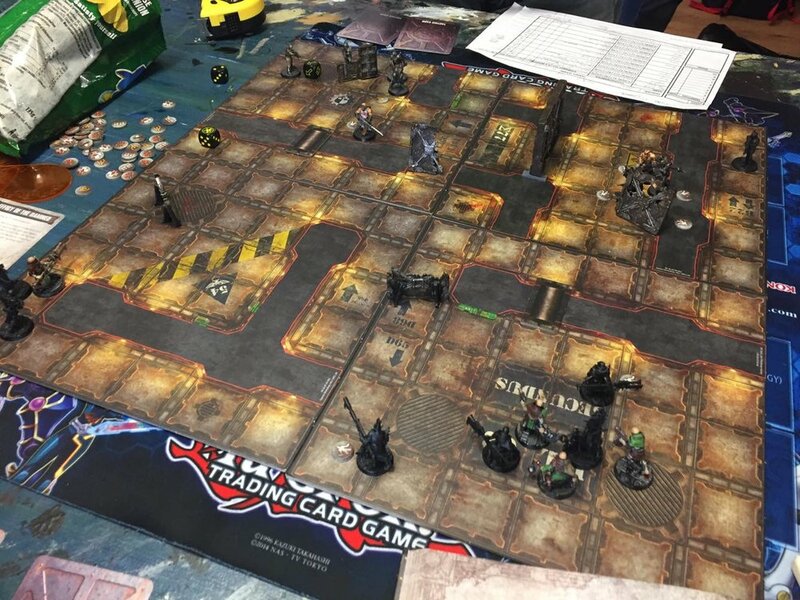 Looked like it was a punishing game for the Orlocks as Van Saar just went on a Rampage in this fight (probably still sore from there last fight with an Orlock gang). Van Saar Win. Finally We see The Simon Community against The Scars. The Escher gang was ready to go again this day, but unfortunately it looked like the Cawdor Gang were not here for fun and games and deposed of the Gang quite quickly, but the Escher gang did not go silently as they left their mark by Mortally wounding the Cawdor Champion and without medical attention, the Cawdor Champion died there and then. Cawdor win, with a heavy loss. This has been the most active cycle in the Turf War so far. Many Gangs are out there and everyone is out for themselves. This Turf War is far from over and who knows who else will get involved in the action. Gang Activity continues to rise. A lot to report this Cycle, so let's get to it. First off we have Two new Gangs down here. Another Goliath Gang has come forward and has put on quite a show. Whereas there is another group running around. They don't look like they belong to any House, but they claim to go by the title of The Invisible Hand. Think they might be some citizens wanting to get in on the action. Poor souls, acting like a Cult or something. Maybe there split off from Cawdor, but that's not important now. We start with Obsidian Klaw taking on there very active rival, Dogs of War. Pretty straight forward here, Orlock Champion was killed and called a retreat. victory to Van Saar. 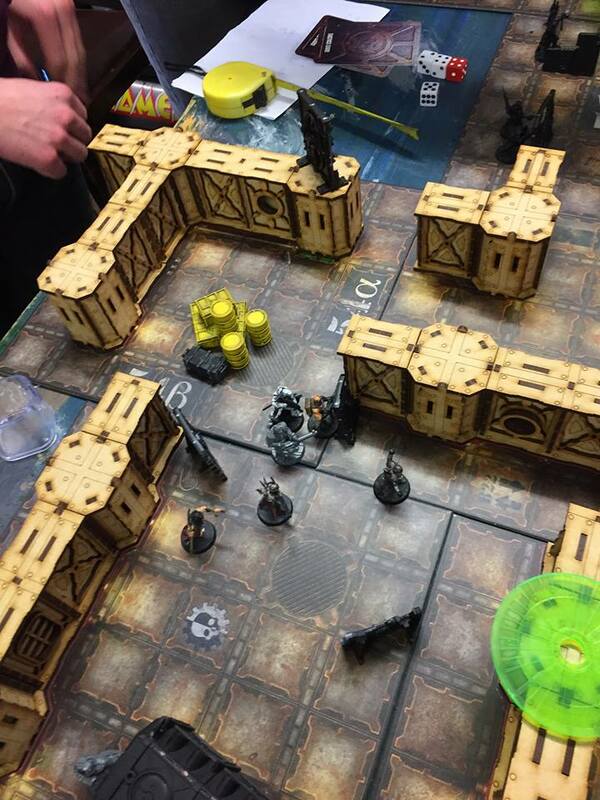 Then we had the new gang, The Invisible Hand vs Dragon Innkeepers. not much action, nothing to report and the conflict ended in a Draw. 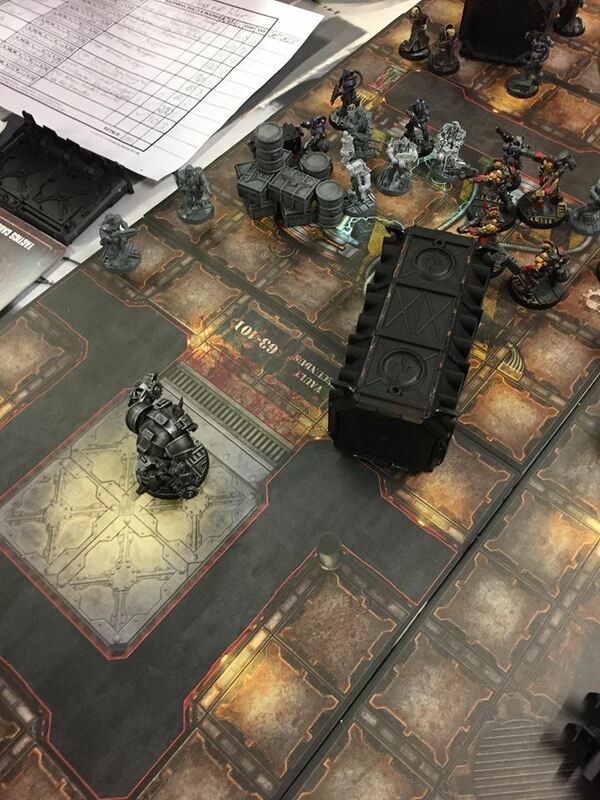 Next it looked like, Dogs of War wanted some quick revenge against Obsidian Klaw, only to be met with a cold shoulder as the Van Saar just left, leaving the Orlock to grumble over the easy escape. After that we have The Golden Vipers take on Piratical Punks. 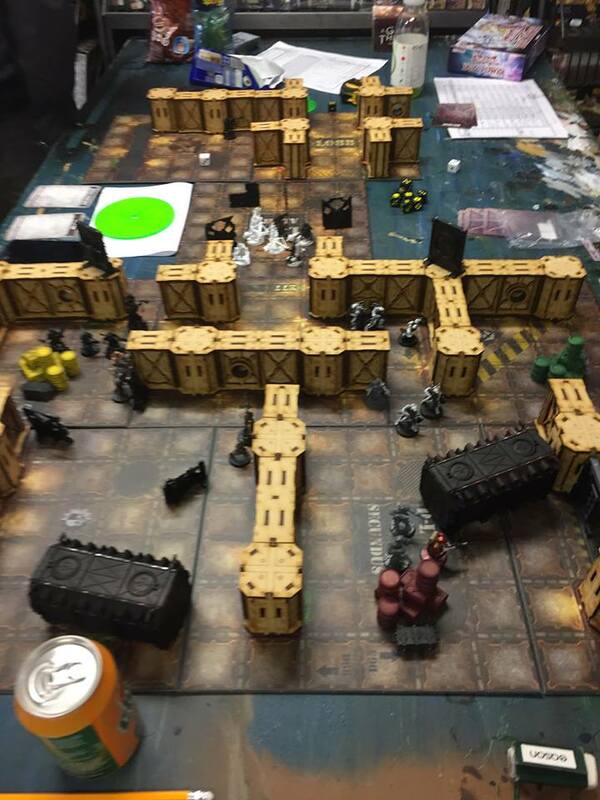 The Escher gang got beat hard, followed by them bottling outing, Victory to the Delaque gang. Next we have The Simon Community taking on Ronnie's Right Handers in a daring Rescue attempt. Italics like a Orlock Juve bit off more then he could chew. Fool thought he could surprise a opposing ganger...it didn't go well. Result, The Cawdor were able to rescue there captive. Now we have the New Goliath gang went up against The Scars and the new Goliath gang made quite the impression. With killing a Champion, capturing other Gang member and forcing the Escher gang to retreat. So much so, that the Escher gang has now disbanded, and gone back to the drawing board. After this the new Goliath gang went up against the new Gang: The Invisible Hand. Not much to report. The Goliath Gang Leader was downed and a retreat was declared. Victory to The Invisible Hand. After this, Obsidian Klaw turned there sights on the new Gang to put them in there place. With a leader captured and 2 Gangers killed, the Goliath Gang knew what competition is down here. Finally we have: Dogs of War also taking on the new Goliath Gang, and as usual... same dull report involving the Dogs of War...what a surprise. 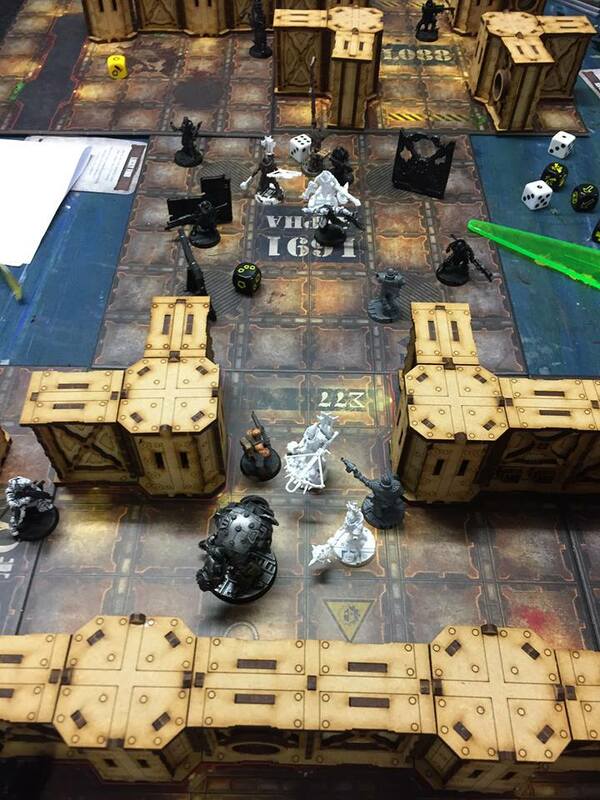 Victory to Orlock gang. Now, as regards my Venture into the depths. I hired an Escher gang to act as my bodyguard. While down there we were able to map out the area pretty well...but...we saw it, sorry, I mean them. There were two... things... down there. They killed two of my bodyguards, serious injured a few more. Barely made it out of there. It is clear now that whatever these things are, they must gotten rid of. So, the call is going out, ALL GANGS are asked to lend there support and get rid of these things. I can promise REWARDS for all who come to hunt these things and even more for those who claim the HEADS of these Things: Reputation, Turf, Experience and of course Credits for all. I'll see you down there. Over the past few Cycles there have been incidents involving civilians going missing down here. I hired a gang to help me investigate the what could be happening. After a quick brush with death, it became apparent that I would need a lot more help to take care of these things. During the last Cycle Ten Gangs joined together to help with this problem. With scanners and other mechanisms, we were able to find the locations of these two things that were causing this mess down here. The two were located in uninhabited areas of the sector. They were two different areas, so we had the Ten gangs spilt randomly into two groups of Five and go and confront the things and destroy them. The Invisible Hand, The Simon Community, Dragon Innkeepers, Arcadians II and Ronnie's Right Handers were the first group to head out. Obsidian Klaw, Dogs of War, The Golden Viper, Marketing Department and Set Phasers to Fun, were the second group that set out shortly after. The Objective was simple: Find the Blip, and take care of it. 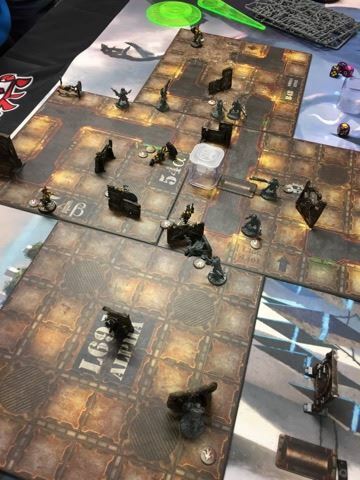 Group One started there decent into the territory, slow and steady, but covering ground very easily thanks to Dragon Innkeepers being able to bypass the the locked bulkhead door with no effort. Not to long into the venture, did they cone across a room with the Blip inside. Dragon Innkeepers formed a firing line and Marketing Department got ready to open the door. 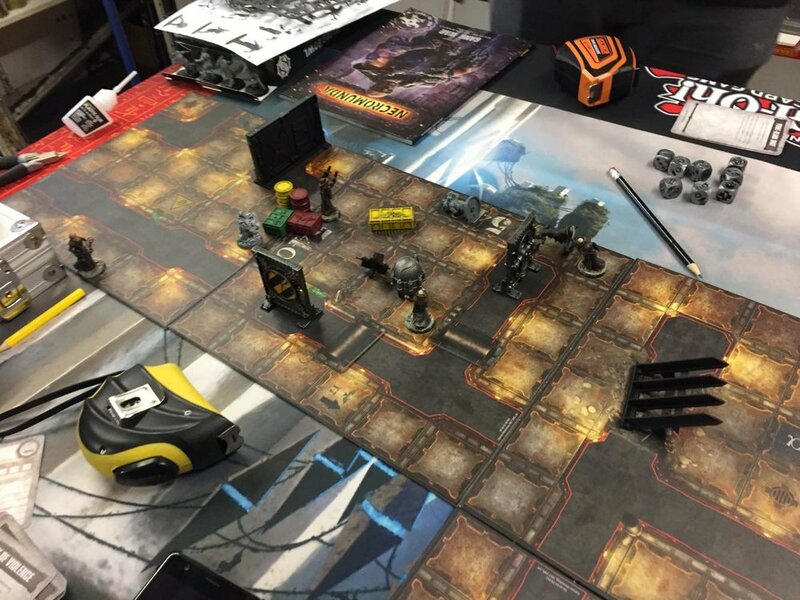 At this time these gangs were ready and opened the door, (in hopes to claim the glory of taking down the thing before the others could) to reveal a Hulking Malfunctioning Ambot. At this point i'd like to add that two of the gangs were still bringing up the rear of the group, and so the few Gangers that were there when the Ambot was revealed opened fire on the Brute. 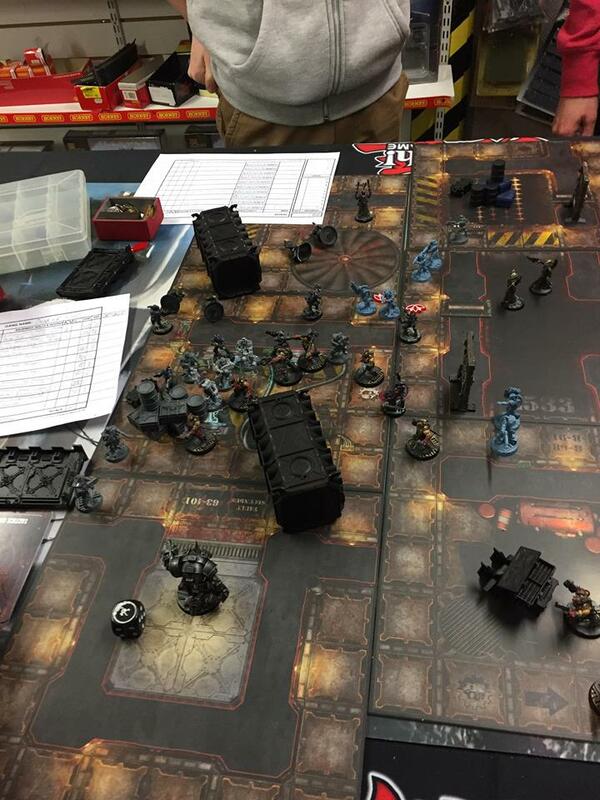 After a lot of shooting from the VanSaar, Cawdor and Orlock, and the Ambot had not taken a scratch. 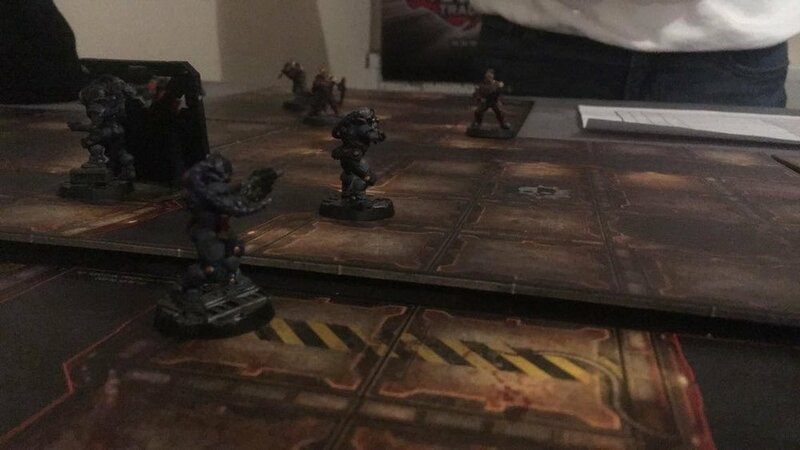 It the proceeded to take it's turn by taking out the two poor souls that were brave enough to open the door, and proceeded on to start attacking the Van Saar firing line. It made quick work of anything that aggravated it. Marching forward the Ambot, again and again, taking out Gangers with great injuries. The Gangs kept on shooting and shooting. They did do a bit of damage, but the Ambot still bulldozed though the Gangs. I cannot say with certainty what happened next as I need to go and observe the other Gangs and their target. However somehow Group One came back saying the mission was a success and claimed there rewards and left in quite a hurry… Meanwhile group Two had progressed into the depths of the sector as well. Though a bit slower the Group One, they did use there prep time efficiently to make a Firing...group ??? The group blew down the door to reveal another Malfunctioning Ambot. 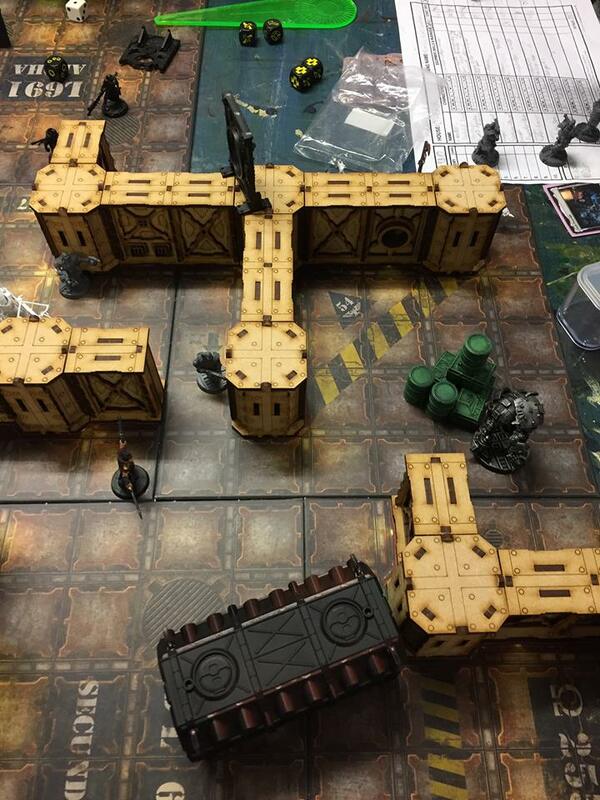 The Gangs immediately opened fire on the Ambot and dealing a bit of damage to it. But also at this time Obsidian Klaw noticed The Golden Viper were hanging back a bit. 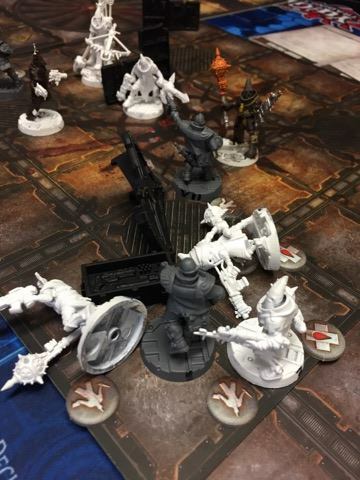 With all the shooting going on, one of the Klaw Gangers began to open fire on The Golden Viper: Not trusting any out of action moves made by the Delaque Gang. With their motive known now the Delaque Gang decided to take this as a betrayal and left the fight. No need to work with people who have itching trigger fingers and can't be trusted. Not too soon after Set Phasers to Fun must have witnessed this action and decided to leave as well. Not wishing to collaborate with backstabbers. So Group 2 was now down two Gangs and the Ambot about to make its move. The fight dragged on for a while. Many shoots fired and punches throw. This Ambot didn't do as well as the other. It took quite considerable damage. The Ambot did manage to get a shot or two in and a few hits, but it was too late. The Ambot was pushed to the edge of Large Dump shoot. 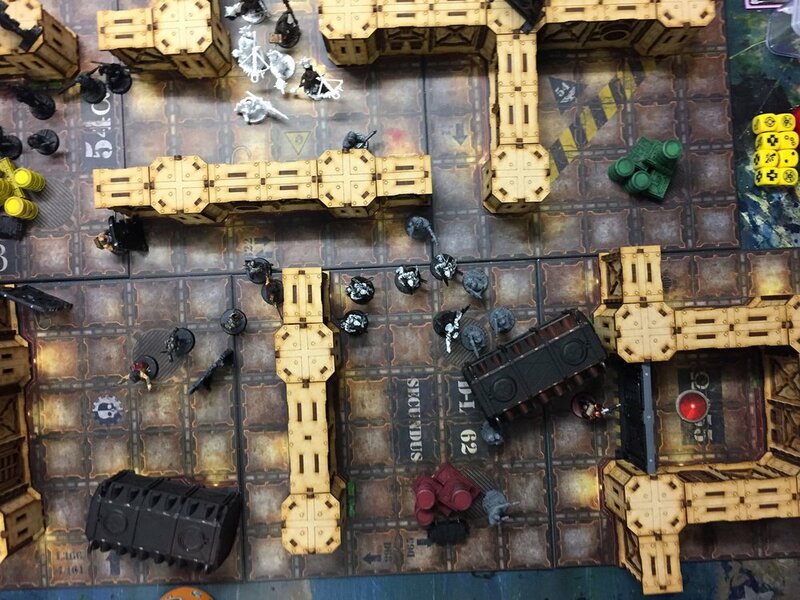 The Gangs continued firing until both of it's arms had fallen off and the lights in the Ambot's eyes went out and fell into the darkness of the even further depths of the sector. With that done Group Two returned with the arm of the Ambot as proof of their victory over the Brute. They collected their rewards and headed back to there Turf. So, over a good turn-out of Gangs and the problem has been solved...I think... Have a bad feeling that i've been had by one of the Groups. Only time will tell what is going to happen, but for now I'll end my report here. Ambot 2 (Lovingly named Rocksteady) - Last seen falling deeper into the sector. Was taken care of. Heavily Damaged or Destroyed. 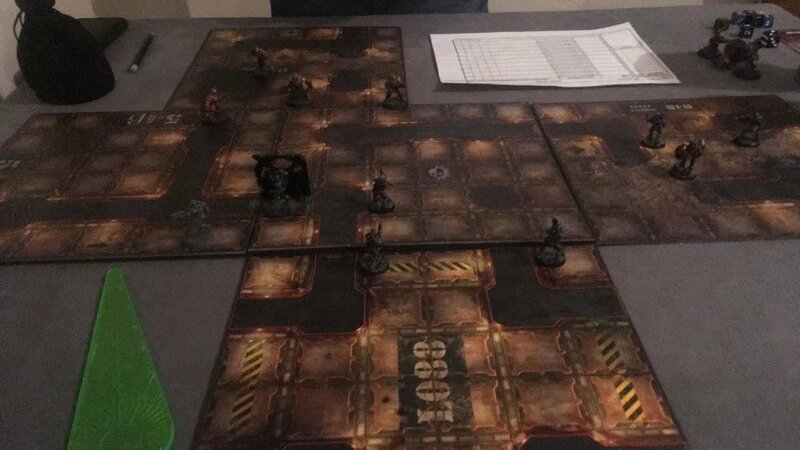 After last Cycles Gang Group Project, the action in the Underhive continues to be ever prevalent. Also one new Escher gang has joined the fray. Also, one amendment Bash Buddies is actually Bush Buddies. From now on will be known as such and has been fixed in the Roster. First off, we have that new Escher gang taking on the long lost Bush Buddies who have been licking their wounds from the Second Cycle. Well they're back with a burning fury this Cycle. 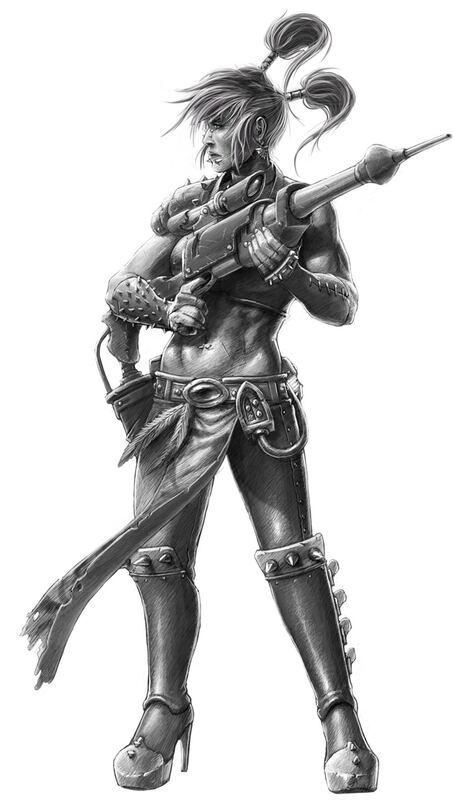 In their encounter with Escher, the Goliath Gang gave the Escher Gang a grand welcome to the sector by killing a Ganger and winning the conflict. Next up The Simon Community took on The Invisible Hand in a drawn out fight of attrition. After the death of one of their Champions, The Invisible Hand's Gangers started to drop one after the other. After so many Gangers getting knocked down, The Invisible Hand decide to take their leave. Victory for The Simon Community. After that, we had Ronnie's Right Hander's up against Arcadians II. Looks like it was a quick skirmish as Arcadians II suffered the deaths of two Gangers and resulted in thei defeat. Ronnie's Right Hander's claim Victory. We have The Golden Viper VS Dogs of War. 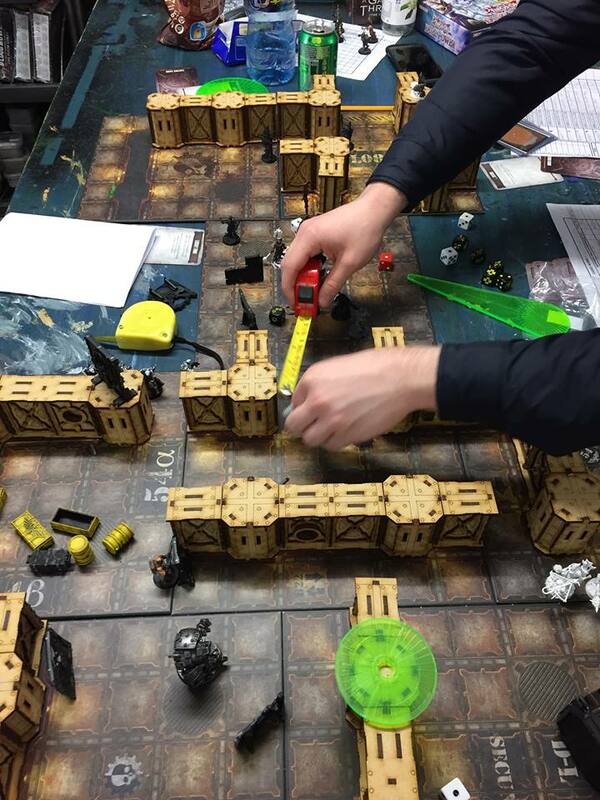 The Conflict went on for quite some time resulting in no victory for either side, however The Golden Viper, Delaque Gang, managed to capture one of the Dogs of War. Looks like The Golden Viper got what they wanted here. Looks like Bush Buddies hadn't had enough yet. They took on Arcadians II and again after a quick skirmish, Bush Buddies add to the death roster of Arcadians II by taking out one of there Champions. With that, Bush Buddies claimed another victory this Cycle. Lastly of the conflicts, we have Set Phasers to Fun taking on the new Escher gang. Looks like this Escher Gang did not have a very good start in this Sector. As Set Phasers to Fun killed one of their Gangers and also injured one of there Champions. Victory to Set Phasers to Fun. With all that said, I must thank the Gangs for their help last week in taking down the two AMBOTs. However...civilians continue to go missing, even reports that some Gangs have some members have gone missing as well. This is of great concern. I know not if one of the Groups lied to me or if there is more of those AMBOTs down there. Either way, I must enlist the help of the Gangs again. If any Gangs would like to dive into the depths of the Underhive again and hunt this/these AMBOTs, please report to me ASAP. May the God Emperor protect us.